Apple users will be familiar with the Find My iPhone app which uses a user’s iCloud account to track a device using GPS. Apple users have to log in at iCloud from a desktop browser in order to access the service and see a map with the last-known location of their device. Now Google, the developers behind both Android and Chrome have come up with a neat alternative of their own. 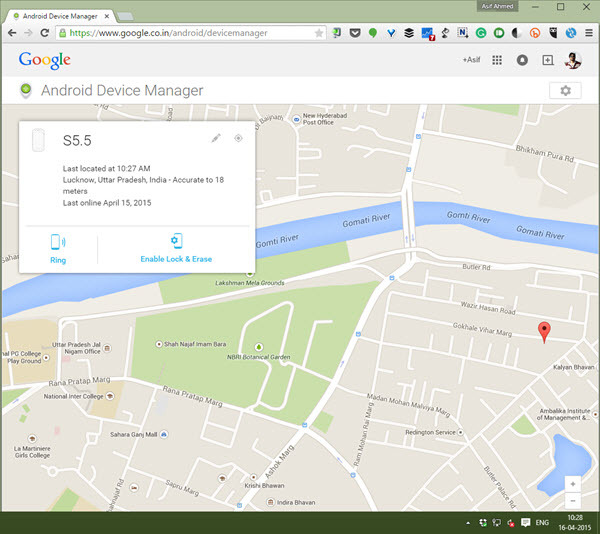 Android device owners who have linked their device to their Google account can head over to the Google search page and enter “where is my phone” to be shown the last-known location of their device. They will need to log in to Google, or Google Chrome web browser, in order for this feature to work. This new feature comes along with a whole bunch of new phrases that Google search can now understand.